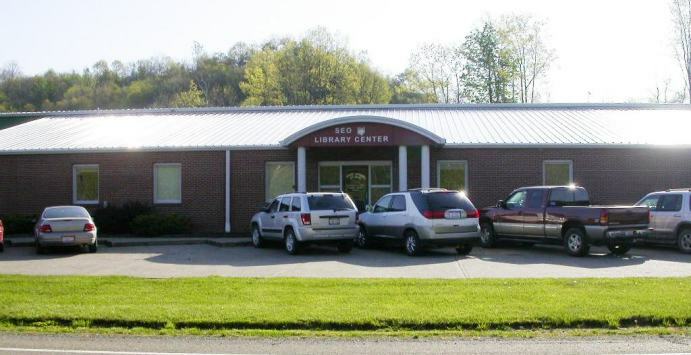 The SEO (Serving Every Ohioan) Library Center, located in Caldwell, supports a consortium of 93 Library systems at 237 physical locations throughout 47 counties across Ohio using the OPLIN network. The power of this consortium resides in resource sharing among consortia members allowing small and rural library systems to have access to millions of items for their patrons free of charge. SEO Library Center houses, maintains and supports a centralized shared catalog database that includes over 8 million items with a patron database of 930,000+ borrowers. The SEO staff provides technical support as well as software help desk support for all consortium members, alleviating the burden of specialized IT functions on small libraries. SEO also provides and maintains training through the On-Demand Training and the F. Ward Murrey Annex facility (located next to SEO library Center) to state agencies and public libraries across Ohio.